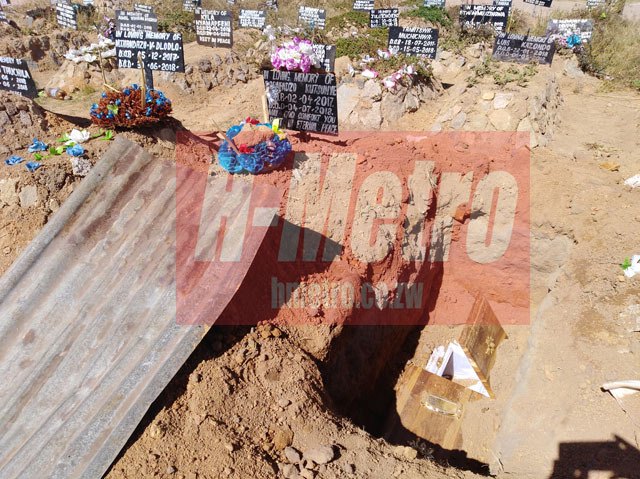 In a suspected case of juju, an 18-month-old baby’s corpse was exhumed within a day of burial at the crowded Granville cemetery (kuMbudzi) in the capital. 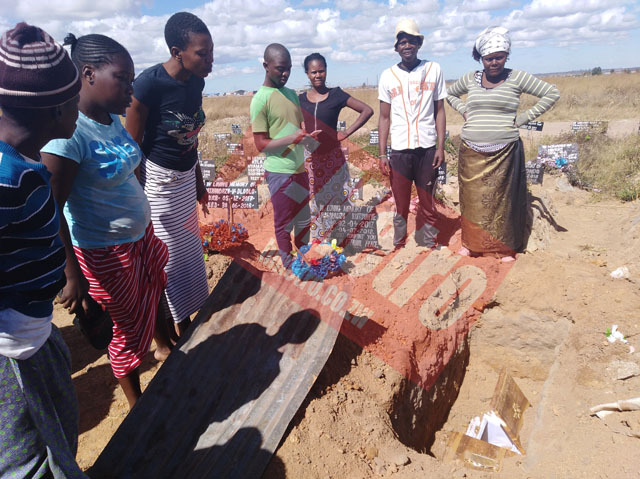 Stains of blood were also found on a rock near the grave where the family suspects the body was cut to remove body parts for ritual purposes. The child, Panashe Tizora died on Tuesday evening after a short illness. 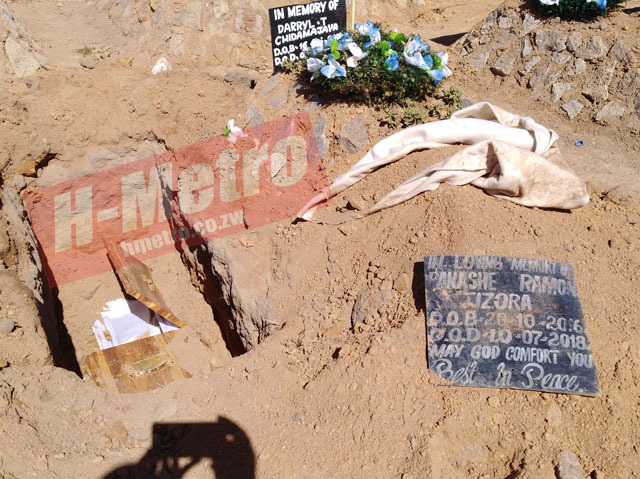 Granville Cemetery is under Harare City Council and the local authority yesterday confirmed the incident. The child’s mother, Florence Mudonjwe was overcome by grief and directed questions to her mother Catherine who narrated the events leading to the minor’s death. She claimed the child asked for water from the mother and moments later acted as if being strangled by unknown forces. They then took the toddler to a prophet in Epworth and eventually died as they moved back and forth. “Akangomuka kuseni kumba kuMbare akakumbira mvura kuna amai vake, ndopaakabva angoita kunge amonywa mutsipa, maziso achibva atobuda panze. “Madzibaba vacho vakati tigodzoka zve masikati na 2 and we went back and he was seemingly getting better. “He advised us to return again in the evening and when we were on our way back, the child fell unconscious. “When we go there, we consulted the prophet whether the child was dead or not, but he convinced us that he was alive but when we arrived home, we realised that he was dead and decided to take him to the doctor. The doctor advised us that he had passed away and advised us to go to Harare Hospital,” she said. Asked why they did not seek medical attention, Catherine said it was their belief to consult the prophet first. “Kana munhu arohwa nezvinhu tinotanga kuenda kuna madzibaba nekuti akaenda kuchipatara anofa,” she said. Catherine insisted the family believes there was foul play.